Start your career in the fast food industry! In this fun management and skill game, you're the owner of a small food truck and your goal is to expand your business. Serve customers and fullfil all their needs to earn as much money as possible. Upgrades to your food cart will help you to attract more customers and increase your revenue. Will you become the next fast food superstar? 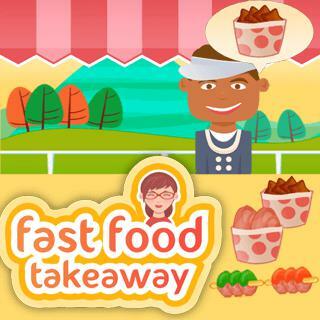 Fast Food Takeaway - Find Fast Food Takeaway in our vast HTML5 games catalogue. Only the best and newest HTML5 games for all audiences. Guaranteed success with Famobi.